High strength and flame retardant technology to improve the wearability and prevent corrosion;Thick and has more copper wiring inside to make charging transmission up to two times faster than ordinary cables and makes it safer. Charge is approximately 10% faster than many standard cables and syncs at speeds of up to 520Mbps through wide diameter 24 / 20 AWG data and power wires. Passed 6000+ bending test and no damage or change in performance. Heat-resistant connectors ensure complete safety and reliability. We provide 30-day Money Back and 12-month Warranty for each purchase, for any question or assist, please just feel free to contact us at info@ii-tech.com,please do not hesitate to contact us and we will do our best to solve your problem asap! At OIITH we take full ownership and responsibility for the quality of our products. Unrivaled Durability: Very flexible design, 6000+ bend lifespan offers up to 4 times longer than the odinary cables. Connect With Ease: Stop removing the case from your phone or tablet every time you charge or sync your device. 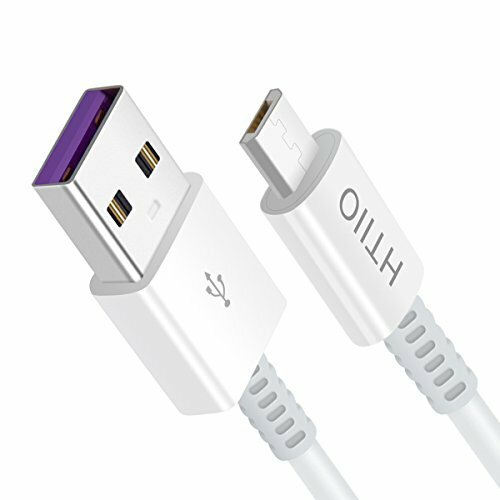 The cable offers a slim Micro USB connector molding that plugs into your device even while it's inside a protective case. If you have any questions about this product by OIITH, contact us by completing and submitting the form below. If you are looking for a specif part number, please include it with your message.